What are gout symptoms and signs? What types of doctors treat gout? How do health care providers diagnose gout? When should patients seek treatment for gout? What are treatments and home remedies for gout? Do gout medications have any side effects? What foods should people with gout eliminate from their diet? What complications are associated with gout? What is the prognosis of gout? Is it possible to prevent gout? What is the latest research on gout? Gout is a type of arthritis that causes inflammation, usually in one joint, that begins suddenly. Gouty arthritis is caused by the deposition of crystals of uric acid in a joint. 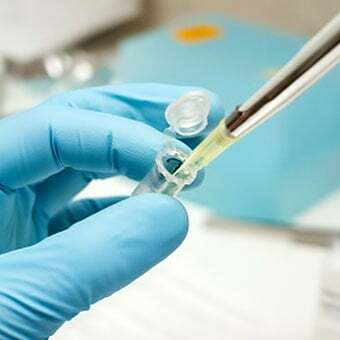 The most reliable method to diagnose gout is to have fluid removed from an inflamed joint and examined under a microscope for uric acid crystals. Chronic gout is treated using medications that lower the uric acid level in the body. Left untreated, gout can cause irreversible joint damage, kidney problems, and tophi. 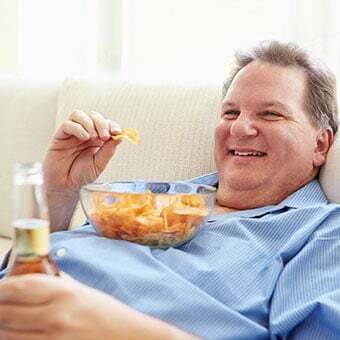 Triggers for acute attacks of gout include surgery, dehydration, beverages sweetened with sugar or high fructose corn syrup, beer, liquor, red meat, and seafood. Cherries may help prevent gout attacks. The primary dietary goal for gout is to limit your intake of foods with high amounts of purinein them. Ideally, you will have little or no foods that are high in purine and only small amounts of those with moderate amounts of purine. Gout is caused by too much uric acid in the bloodstream and accumulation of uric acid crystals in tissues of the body. 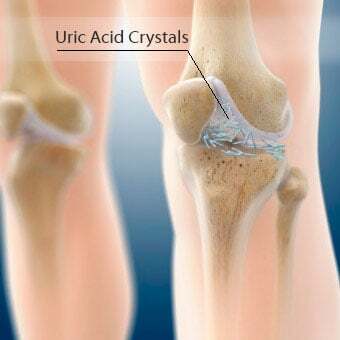 Uric acid crystal deposits in the joint cause inflammation of the joint leading to pain, redness, heat, and swelling. Uric acid is normally found in the body as a byproduct of the way the body breaks down certain proteins called purines. Causes of an elevated blood uric acid level (hyperuricemia) include genetics, obesity, certain medications such as diuretics (water pills), and chronic decreased kidney function. 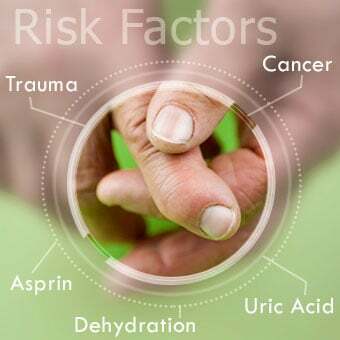 There are many risk factors for gout. Gout is more common after surgery, trauma, and dehydration. Certain medications such as diuretics (commonly known as water pills), which treat high blood pressure, that raise the level of uric acid in the bloodstream are risks for gout. Surprisingly, medications that lower the level of uric acid in the bloodstream, such as allopurinol (Zyloprim, Aloprim), can also initially cause a flare of gout. This is because anything that raises or lowers the uric acid level can cause a gout flare by causing uric acid crystals to deposit in a joint. Low-dose aspirin can precipitate gout attacks. The treatment of certain types of cancer can cause gout because of high levels of uric acid released when the cancer cells are destroyed. Degenerative arthritis also makes affected joints more likely to be the site of a gouty attack. These symptoms and signs usually affect a single joint. The pain is typically severe, reflecting the severity of inflammation in the joint. The affected joint is often very sensitive to touch to the point that some people with gout attacks experience pain from something as simple as pulling the bedsheets over the inflamed joint. The affected joint becomes swollen. The medical term for excessive fluid in a joint is a "joint effusion." Gout frequently involves joints in the lower extremities. The classic location for gout to occur is the big toe. Podagra is the medical term for inflammation at the base of the big toe. Gout can also affect the foot, knee, ankle, elbow, wrist, hands, or nearly any joint in the body. When gout is more severe or longstanding, multiple joints may be affected at the same time. This causes pain and joint stiffness in multiple joints. Another sign of gout is the presence of tophi. A tophus is a hard nodule of uric acid that deposits under the skin. Tophi can be found in various locations in the body, commonly on the elbows, upper ear cartilage, and on the surface of other joints. When a tophus is present, it indicates that the body is substantially overloaded with uric acid. When tophi are present, the uric acid level in the bloodstream typically has been high for years. The presence of tophi indicates tophaceous gout and treatment with medications is necessary. Longstanding untreated gout can lead to joint damage and physical deformity. Kidney stones may be a sign of gout as uric acid crystals can deposit in the kidney and cause kidney stones. Rheumatologists traditionally have expertise in diagnosing and treating gout, especially complicated situations. Other specialists such as internists, general practitioners, family medicine doctors, and orthopedists can manage straightforward cases of gout. 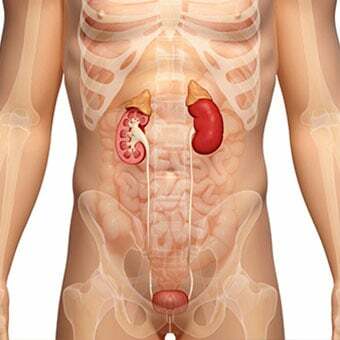 Nephrologists may treat patients with uric-acid-lowering medications such as allopurinol in order to prevent damage to the kidneys, which can occur with elevated uric acid levels (hyperuricemia). The most reliable method to diagnose gout is by demonstrating uric acid crystals in joint fluid that has been removed from an inflamed joint (arthrocentesis). Specially trained physicians, such as a rheumatologist or orthopedist, can carefully remove fluid from the joint. The fluid is then examined under a microscope to determine if uric acid crystals are present. This is important because other medical conditions and diseases, such as pseudogout (a type of arthritis caused by the deposition of calcium pyrophosphate crystals) and infection, can have symptoms similar to gout. Changes in lifestyle, such as limiting foods associated with gout, should be initiated in anyone who has had gouty attacks. 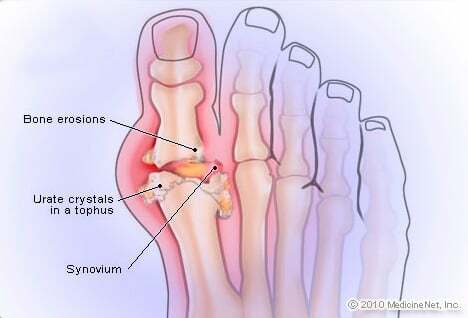 Treatment of gout with medications is necessary when frequent disabling gouty attacks occur, when kidney stones caused by uric acid are present, when there is evidence of joint damage from gout on X-rays, or when tophi are present. Treatment should be individualized to the patient. When gout is mild, infrequent, and uncomplicated, it can be treated with diet and lifestyle changes. However, studies have shown that even the most rigorous diet does not lower the serum uric acid enough to control severe gout, and therefore medications are generally necessary. When attacks are frequent, uric acid kidney stones have occurred, tophi are present, or there is evidence of joint damage from gout attacks, medications are typically used to lower the uric acid blood level. Medications for the treatment of gout generally fall into one of three categories: uric-acid-lowering medications, prophylactic medications (medications used in conjunction with uric-acid-lowering medications to prevent a gout flare), and rescue medications to provide immediate relief from gout pain. Urate-lowering medications are the primary treatment for gout. These medications decrease the total amount of uric acid in the body and lower the serum uric acid level. For most patients, the goal of uric-acid-lowering medication is to achieve a serum uric acid level of less than 6 mg/dl. These medications also are effective treatments to decrease the size of tophi, with the ultimate goal of eradicating them. Uric-acid-lowering medications include allopurinol (Zyloprim, Aloprim), febuxostat (Uloric), probenecid, and pegloticase (Krystexxa). Prophylactic medications are used during approximately the first six months of therapy with a medication to lower high levels of uric acid to either prevent gout flares or decrease the number and severity of flares. This is because any medication or intervention that either increases or decreases the uric acid level in the bloodstream can trigger a gout attack. Colcrys (colchicine) and any of the NSAIDs (nonsteroidal anti-inflammatory drugs) such as indomethacin (Indocin, Indocin-SR), diclofenac (Voltaren, Cataflam, Voltaren-XR, Cambia), ibuprofen (Advil), or naproxen sodium (Aleve) are frequently used as prophylactic medications to prevent gout flares during uric-acid lowering. 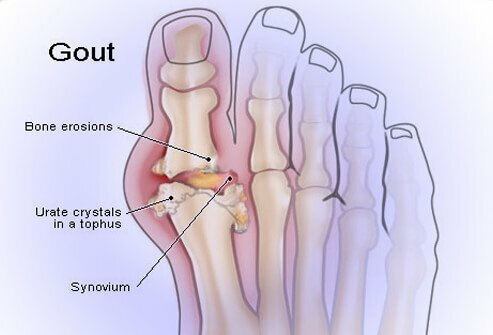 By taking one of these prophylactic or preventative medications during the first six months of treatment with allopurinol, febuxostat, or probenecid, the risk of having a gout attack during this time is decreased. Prophylactic medications are not used in combination with Krystexxa. The third category of medications are those used during attacks of acute gout to decrease pain and inflammation. Both colchicine (Colcrys) and NSAIDs can be used during an acute gout attack to decrease inflammation and pain. Corticosteroids such as prednisone, methylprednisolone (Medrol), and prednisolone (Orapred), also can be used during an acute gouty flare. However, the total dose of steroids is generally limited due to potential side effects such as cataract formation and bone loss. Steroid medications are extremely helpful in treating gout flares in patients who are unable to take colchicine or NSAIDs. Home remedies for an acute gout attack include drinking plenty of water. 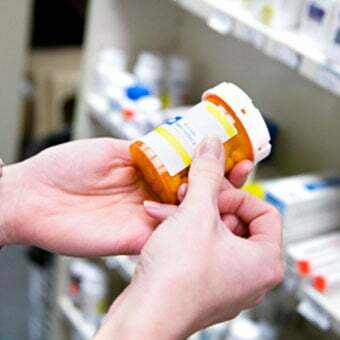 Over-the-counter NSAIDs (nonsteroidal anti-inflammatory drugs), such as ibuprofen (Advil, Motrin) and naproxen sodium (Aleve), can be used when there are no contra-indications, such as decreased kidney function or stomach ulcers. Home remedies may be very beneficial for the management of chronic gout, as well. The dietary modifications detailed above can be very effective in certain patients. Drinking plenty of water to remain well-hydrated can be beneficial in preventing gout attacks. Gout medications are well tolerated by most people. However, like other medications, they have potential side effects. 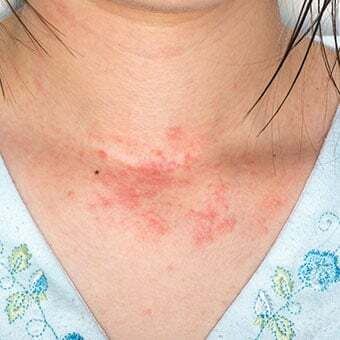 Allopurinol is well tolerated by most people, but in some people, it can cause an allergic rash. 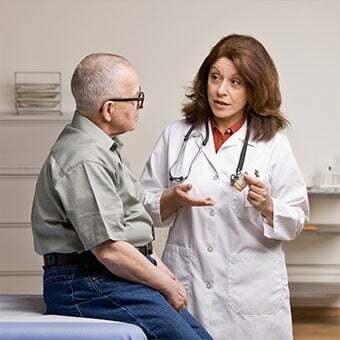 Very severe rashes rarely can occur after taking allopurinol, and any allergic type rashes that develop while a patient is taking allopurinol are taken seriously. Colchicine (Colcrys) can cause signs and symptoms such as nausea, diarrhea, and rarely muscle weakness and abnormal blood counts. Probenecid is generally well tolerated but should not be used in patients who have uric acid kidney stones, as it can worsen the kidney stones and potentially harm the kidneys in these patients. Febuxostat (Uloric) can cause liver abnormalities, nausea, and rash. NSAIDs can cause irritation of the stomach and ulcers in some cases. The liver and the kidneys are periodically monitored in patients taking NSAIDs over the long term. Krystexxa is administered as an intravenous infusion. Severe allergic reactions have been reported in a minority of people receiving Krystexxa. Uric acid is formed when proteins in the food we eat, called purines, are broken down. Therefore, there has been a great deal of interest in dietary management of gout by avoiding purine-rich foods. However, a diet very low in purines is extremely difficult to follow, because purines are a natural part of many healthy foods. Even when a diet very low in purines is followed strictly, the uric acid level in the bloodstream is only slightly lowered. Gout is associated with obesity, and significant weight loss can dramatically improve the management of gout. A calorie-reduced diet is helpful for weight loss. A diet low in saturated fat, with increased protein and replacement of refined carbohydrates (for example, sugar, white bread, potatoes) with complex carbohydrates (such as vegetables and whole grains) reduces the serum uric acid. Decreased consumption of seafood and red meat. The consumption of low-fat dairy products decreases the risk of gout. Drinking beer and liquor increase the risk of gout. However, drinking wine does not appear to increase the risk of gout. In one study, consumption of fresh cherries was associated with a 35% decreased risk of gout. Some people believe that black cherry juice or dried cherries have the same effect, but this has not been proven. Drinking beverages sweetened with sugar or high fructose corn syrup increases the risk of gout. Longstanding untreated gout can cause irreversible joint damage. Uric acid can deposit in the kidneys and cause kidney stones and decreased kidney function. Uric acid can deposit in the soft tissues, especially around joints, and cause nodules known as tophi, which can be large and unsightly. Gout is a chronic condition. Left untreated, patients may suffer from recurrent painful and disabling acute attacks of gout. Joint damage and other complications of gout may occur. However, excellent treatments for gout are available, and most patients respond very well to gout treatment with a good prognosis. Some of the risk factors for gout are genetic, and those are not preventable. However, many of the risk factors for gout, such as obesity and diet, are controllable. Maintaining a healthy weight and a diet low in refined carbohydrates and low in saturated fat and red meat may prevent gout. Research is being done on using medications that block a chemical signal known as interleukin-1 to treat gout flares in patients who do not respond to other therapies. Anakinra (Kineret) and canakinumab (Ilaris) are two medications that block interleukin-1. They are currently used for other conditions and are under investigation for use in gout flare-ups. There is ongoing research in using a specialized CT scan known as a dual energy CT scan to diagnose gout. There is also a great deal of research investigating the various uric acid transporter genes that are responsible for uric acid metabolism. Firestein, G.S., et al. Kelley's Textbook of Rheumatology, 10th Ed. China: Elsevier, 2016. What gout symptoms and signs have you experienced? What treatment has been effective for your gout? What modifications have you made to your diet to alleviate gout symptoms and signs? Please describe your experience with gout. Did you know your diet can trigger a painful gout attack? WebMD shows you which foods can help and hurt your chronic gout. Gout attacks (gouty arthritis) are caused by crystals of uric acid deposits. Learn about symptoms, causes, treatments and medication for this painful condition. Learn what causes those painful crystals to form during a gout flare. Take the Gout Quiz to learn all about this painful arthritic condition.